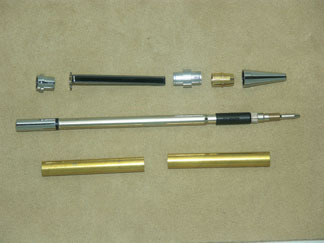 The Traditional Pen and Pencil is one of the most popular pens of turners. The simplicity of this pen make it perfect for beginners. 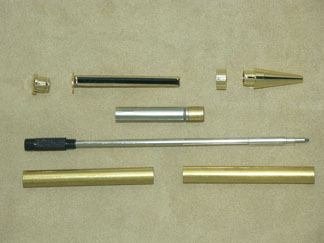 The pen comes in ten different Finishes- Upgrade 24k Gold, Chrome, Titanium Black, Titanium Gold, Satin Gold, Satin Nickel, Pearl Silver, and Platinum. 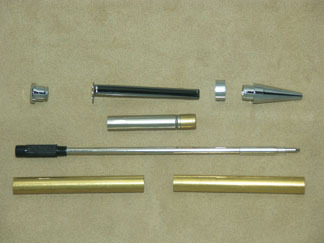 The pen uses a Cross® style refill. Complete a set with the Traditional Click Pencil in Upgrade 24k Gold, Chrome, Titanium Gold, Satin Gold, Satin Nickel, or Pearl Silver. Our pencil uses .7mm lead, as do most of the higher quality mechanical pencils on the market, so replacement lead is readily available. Clip Logo kits are also available for our Upgrade 24k Gold Pens and Pencils. 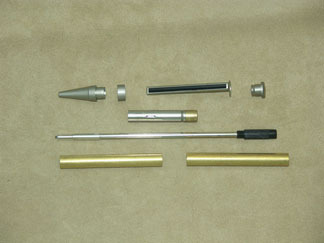 Each pen and pencil is turned on a 7mm Mandrel with Bushing Set 0298. Blanks are drilled with a 9/32" Drill Bit 0171. Items with the same price code (AB, etc.) may be combined for quantity price breaks. 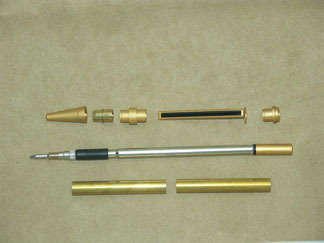 The companion item is the 0505 Traditional Click Pencil in Upgrade 24k Gold. The companion item is the 0506 Traditional Click Pencil in Chrome. 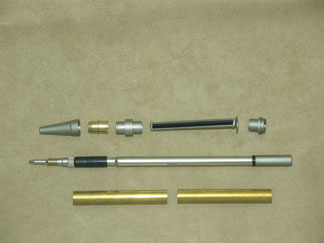 The companion item is the 0501 Traditional Click Pen in Upgrade 24k Gold. The companion item is the 0502 Traditional Twist Pen in Chrome. 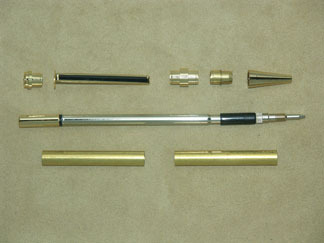 The companion item is the 1405 Traditional Click Pencil in Satin Gold. The companion item is the 1406 Traditional Click Pencil in Satin Nickel. 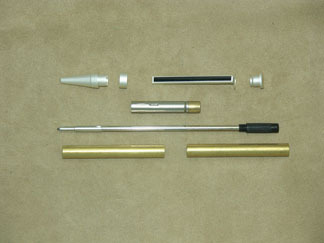 The companion item is the 1407 Traditional Click Pencil in Pearl Silver. The companion item is the 1401 Traditional Twist Pen in Satin Gold. The companion for this item is the 1402 Traditional Twist Pen in Satin Nickel. 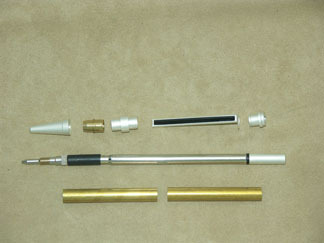 The companion item is the 1403 Traditional Twist Pen in Pearl Silver.